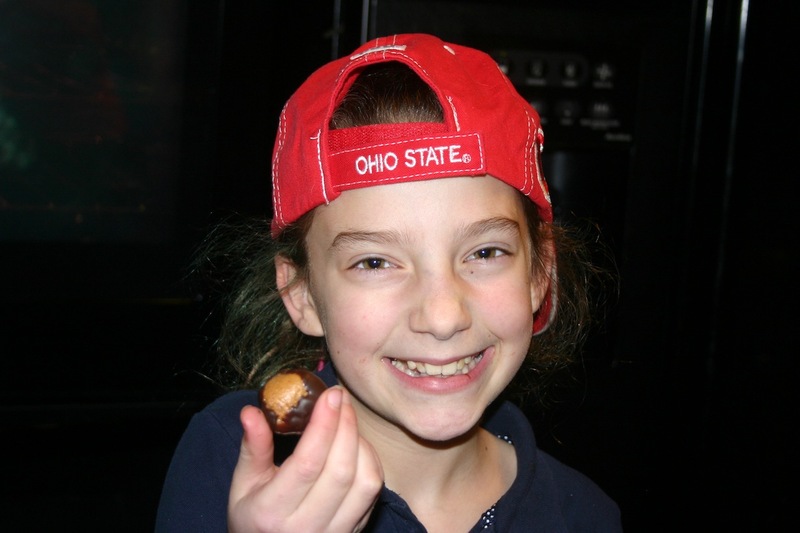 I tried to get my four kids to line up in the O-H-I-O formation for this blog post on my healthy version of the classic favorite, buckeyes. The big game is on New Year’s and it will be the first game I’ve seen all season. I once watched nearly every game, every year, but I gave up watching college football for Shabbos. We all make sacrifices, right? The problem with the photo is that I dared to marry a Wolverine (gasp! ), and my son has decided to root for his dad’s alma mater. (Never mind the new coach, they’re still terrible). So with three cooperating kids, all we got was O, hi. 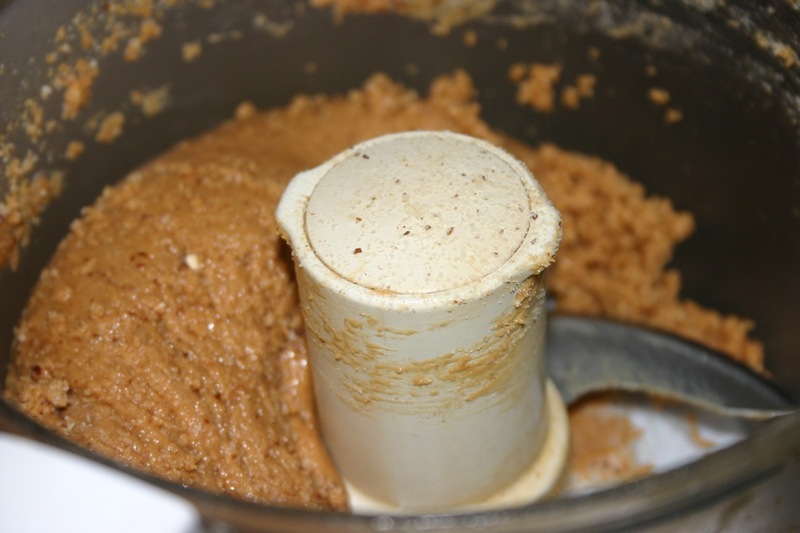 Process the cereal in the food processor until it is fine. Add PB, honey and almond flour and mix. The dough should stick together, but not too sticky. Add more honey if it is too dry or more almond flour if it is too wet. Let sit in fridge for 1/2 hour. 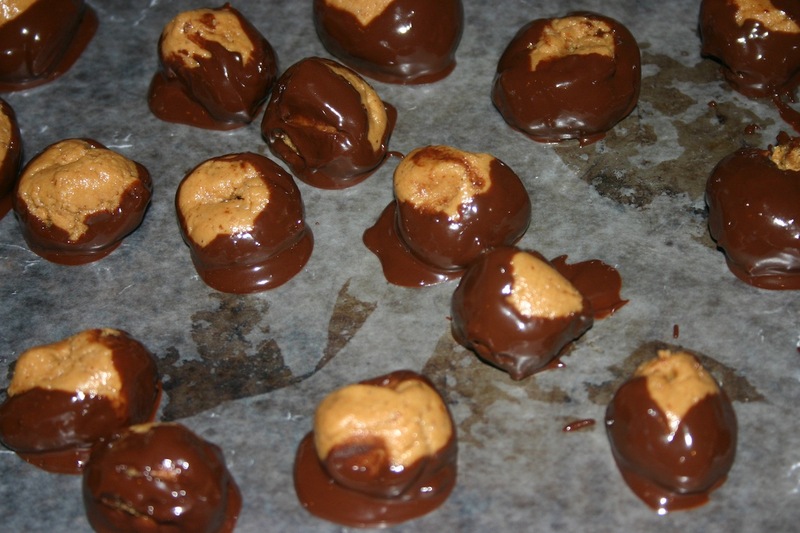 Heat chocolate chips and coconut oil in a double boiler or a pot over low heat. Stir constantly until fully melted. 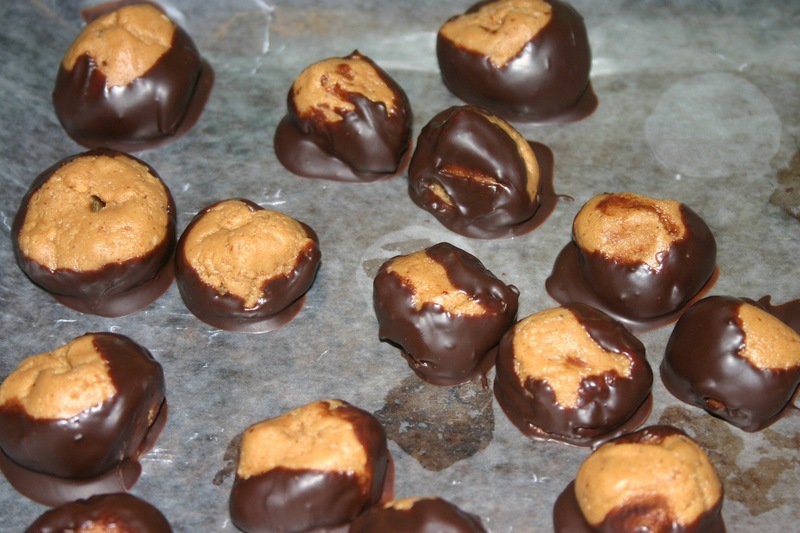 Roll peanut butter dough into balls and dip in the chocolate. I used a tooth pick to remove them from the pot. Place on wax paper and put in the fridge for at least one hour. Store in the fridge or freezer. Very cute and yummy! Tell Zevi to reconsider! !